Firing PMC Pro: RTFM? – No, ITM! The RTFM (“read the f..abulous manual”) instruction is sometimes given to people who look for easy answers. But the opposite can also be true: the manual provides a seemingly easy answer, which – if you think a bit – is not logical and is not backed by real experience. So here is the real life story. Yesterday I finally decided to fire the pieces made of the remaining PMC Pro. The previous experience, described here, was so successful, that I did not give it a second thought: just grabbed the manual sheet inserted in the pack, put the pieces into the container filled with activated carbon and – following the instruction – set my kiln on 760°C for 1 hour. When the kiln beeped, I let it cool down to 300°C then removed the container from the kiln and let it cool down further, before the pieces could be taken out. Surprisingly, they looked more like greenware than metal, ‘too grey’ and not ‘metallic’ at all. Also disturbing was the fact that there was practically no shrinkage, while PMC Pro is known for its significant (up to 25-30%) shrinkage. The ring fitted the same finger as easily, while it should be gone down at least 3 US sizes. It felt wrong. I tried to bend it a bit and did not feel the great resilience which characterizes PMC Pro.The ring clearly felt under-fired. But the most disappointing thing was still to happen. 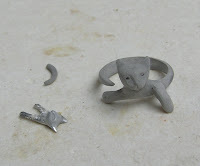 When I took the small cat figure in my hands, it broke into pieces! First one paw, than the other. It was weaker than any precious metal clay in bone dry state. If you look closely at the breakage site you would hardly think that there is any metal involved: no metal particles are even visible. 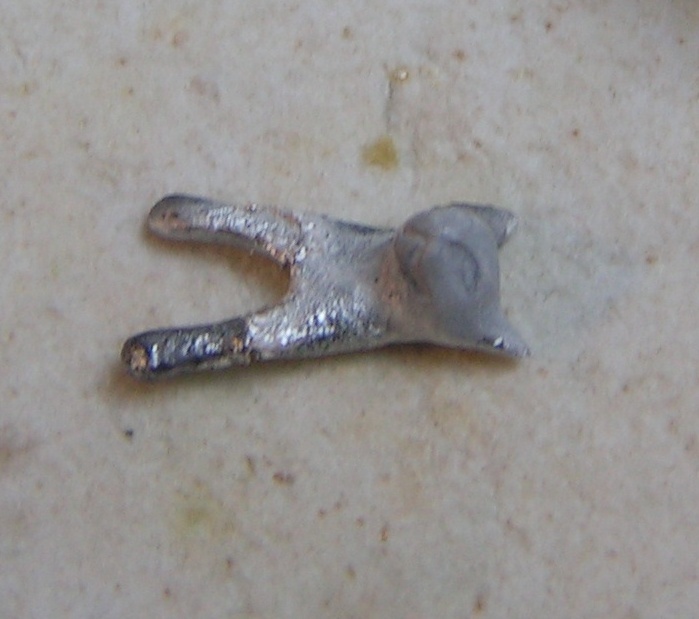 When I tried to fix it with the Art Clay Silver Oil Paste, another disappointment waited: the oil paste made no bond! Probably because the paste ‘glues’ metal to metal, but not greenware.The binder was obviously still there, it did not burn out during 1 hour carbon firing under 760 °C. So I grabbed the last remedy – the torch – and heated the contact site until the metal became visible. Then some oil paste was applied and the cat was heated again. As I have discovered before, it is important to make ANY bond first, and work on cracks later. 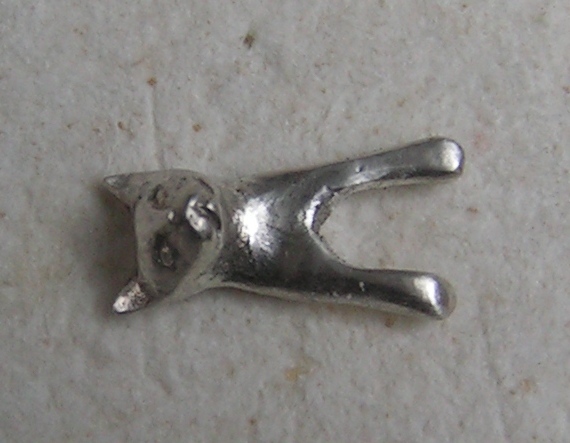 This kitty will also be reinforced later by a plate or wire. Having fixed the little kitty, I put all the three pieces onto an open shelf and went through the known procedure: first – firing for 30 minutes at 538°C, and then – for 1 hour in activated carbon at 760°C. Even after stage 1 it became clear that the binder had been burned out. 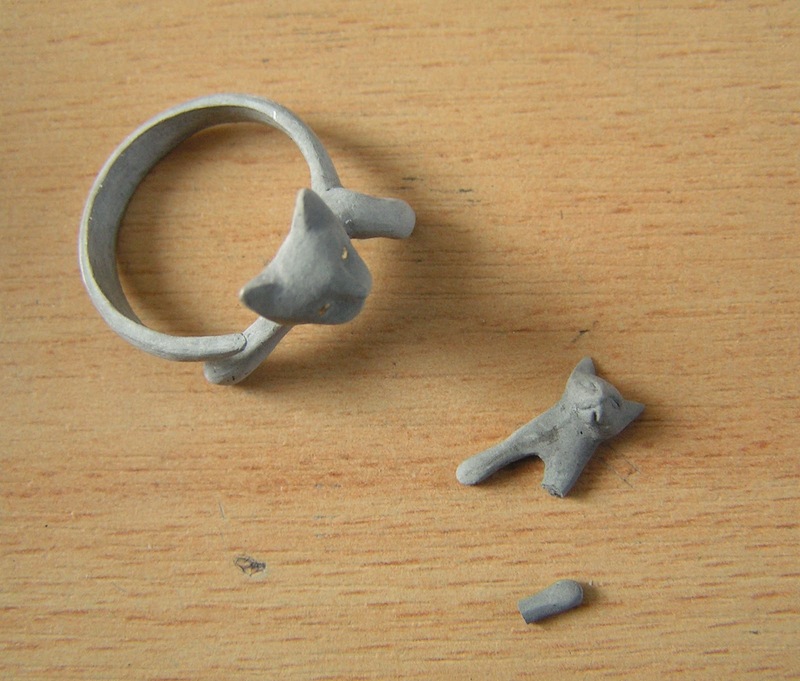 The pieces felt strong, and they shrunk too. See the picture on the left. I wish I could demonstrate the shrinkage by putting a third object for comparison, but you have to believe my word. The only logical explanation for the binder not to burn out completely in activated carbon could be the (insulating) properties of the carbon. The pieces probably do not reach the desired temperature fast enough. Or the time needed for the binder to burn out is too short. The Paragon kiln is beyond any suspicion: it never failed me before always keeping the desired temperature. 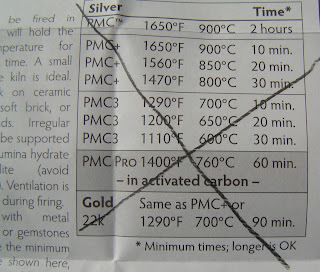 Unlike what Cool Tools states here under Firing Option 1, smaller pieces do even worse with 1 hour of firing in carbon at 760°C as compared to larger pieces. Maybe because they warm quicker, but do not maintain the temperature as the larger pieces do? Another possibility is that 1 hour in activated carbon is just not enough, and it should be 2 hours. Maybe I will try this option one day, but for the time being I have had enough firing – and re-firing, and mending the broken pieces, too. 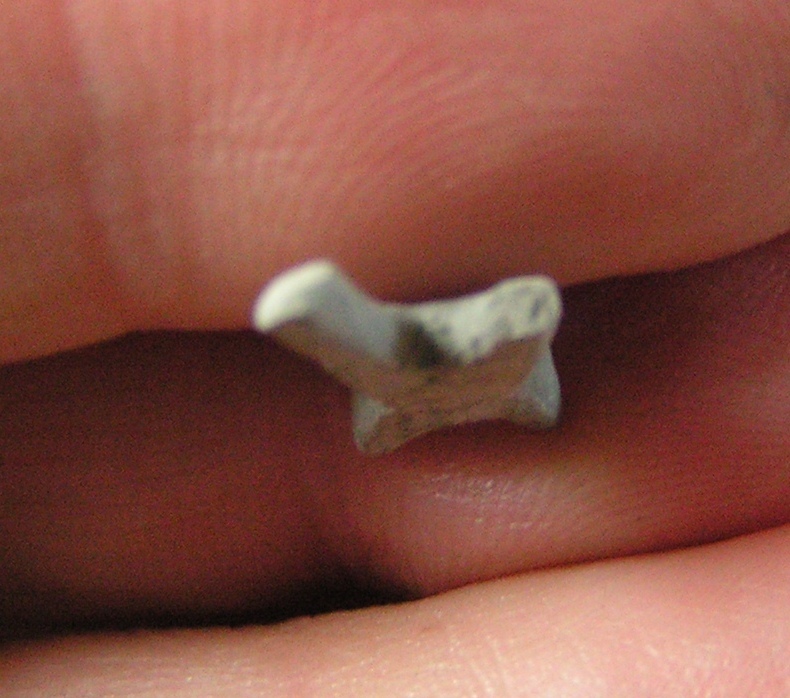 The finally refired pieces are as PMC Pro pieces are supposed to be – strong, flexible and 90% silver. 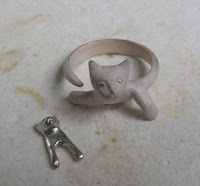 The fist difference you see is the color: the pieces are not grey, but whitish, the color typical of fired silver. When the white is brushed off, the silver shine appears. The lesson learned: sometimes it is better to Ignore The Manual (ITM). 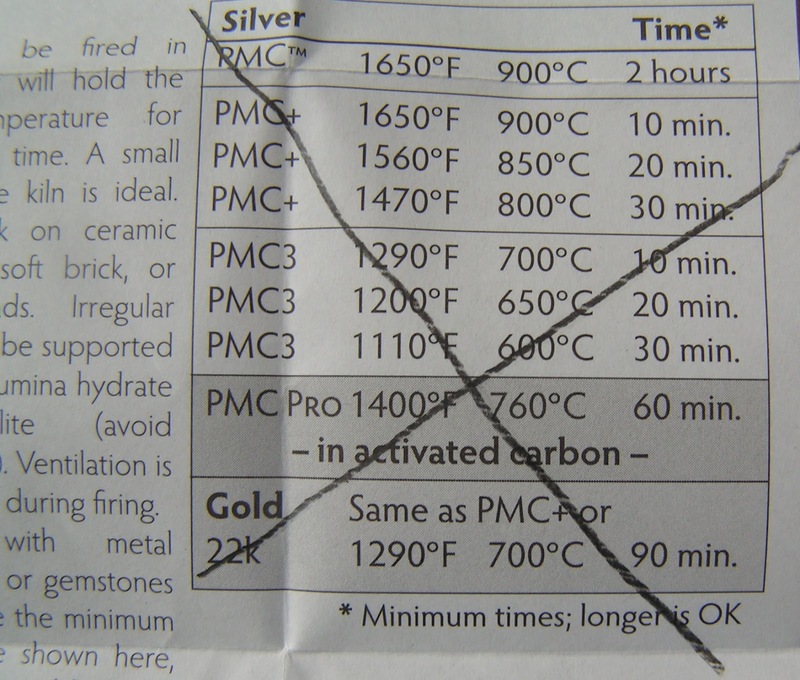 The suggested firing Option 1 – firing for one hour in activated carbon at 760°C – turned out not to be viable. The problem is that the binder does not burn off completely and at this regime the pieces are underfired. My advise: follow the TWO-STAGE Firing Option (Option 2), and you won’t be disappointed.